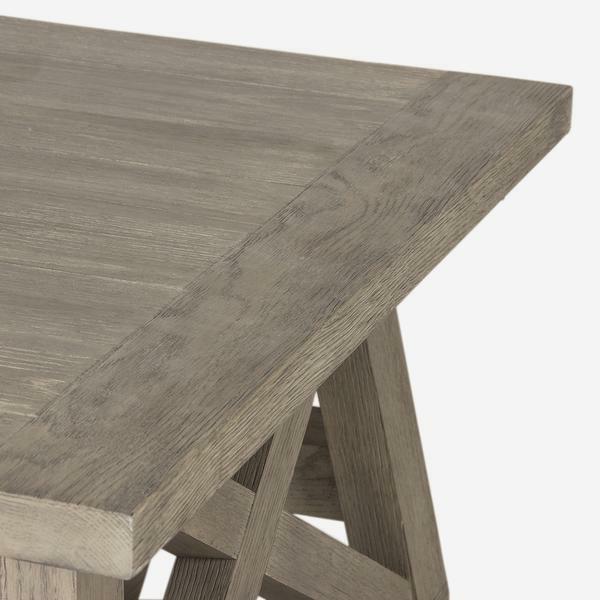 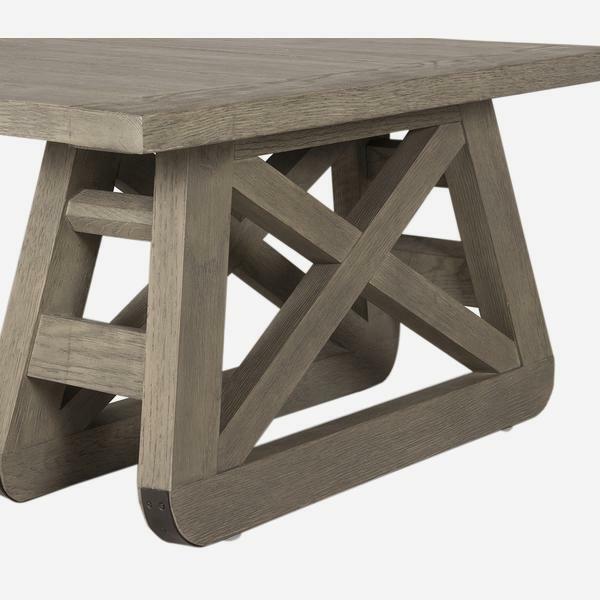 A solid oak coffee table in true rustic style. 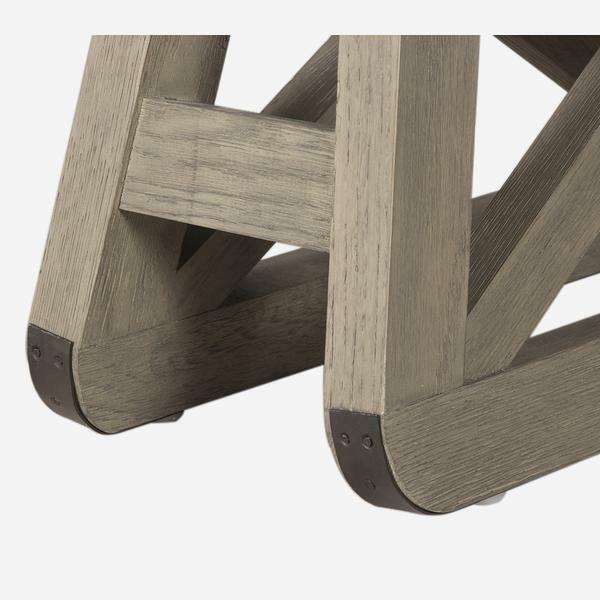 Gaspard displays a simple, rectangular top which accentuates its design-led legs. 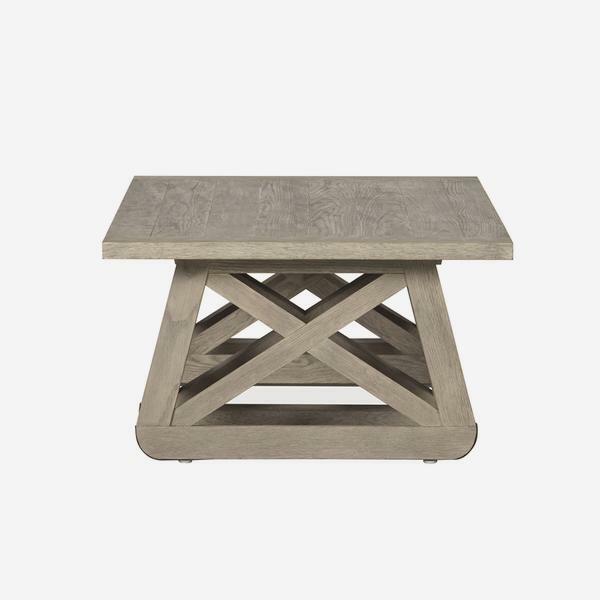 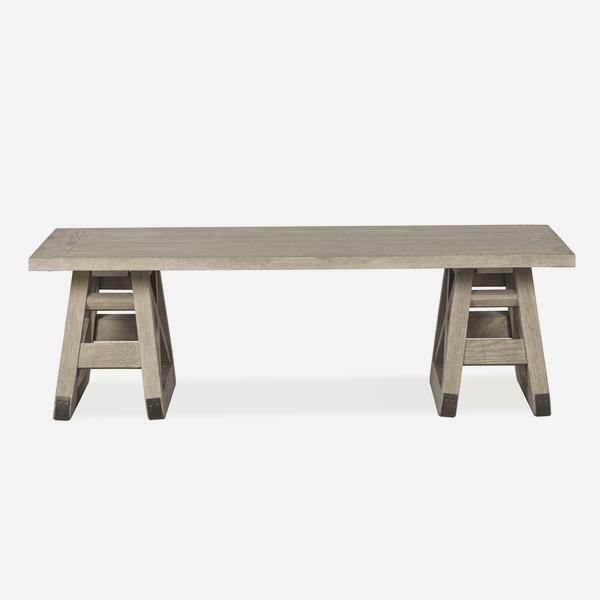 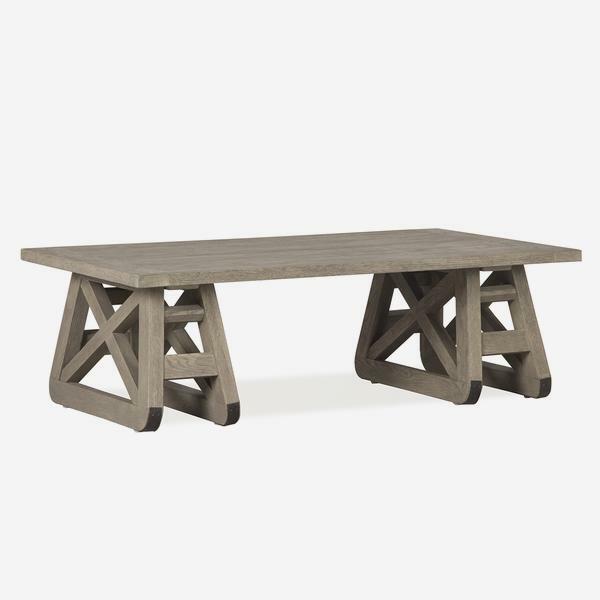 Mimicking the look of a wooden fence and a cross bar gate, this coffee table brings rural appeal into the home with style.